We’ve begun our journey to Mexico! We started our day with breakfast in the cafeteria with some of the MITC staff. Before we ate, the MITC interns led us in a song of worship followed by prayer. We went to church at Iglesia bautista gracia. One of the most impactful things so far was hearing the church sing songs of praise and not only did we get to hear people praise the Lord in a different language, but the church also provided the words in English so we could praise the Lord alongside them. Pastor Aaron led a message along with Dan acting as a translator. sodas and water along with homemade pound cake. The members of the church were overjoyed to have us there. After the service they began giving us hugs, kisses on the cheeks, and thanking us for coming to visit them. We were allowed a short time of rest followed by a home cooked lunch and more fellowship with the MITC interns. 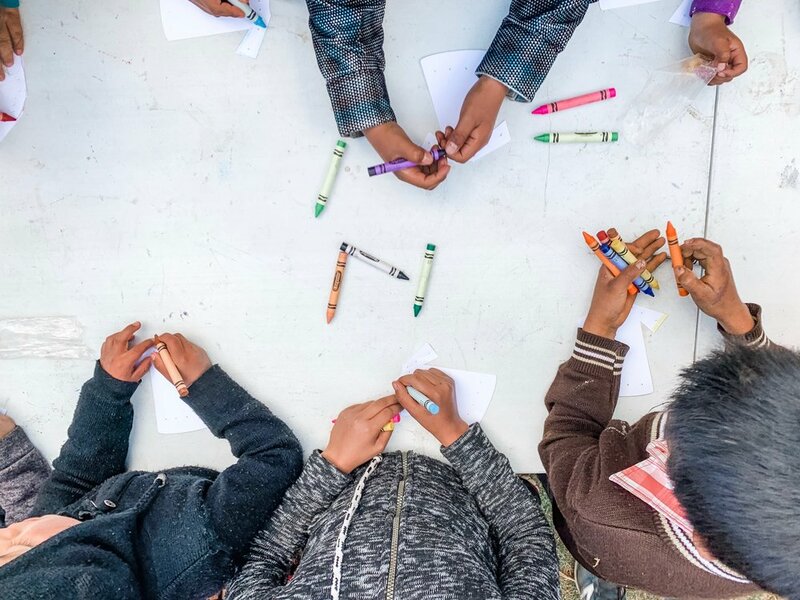 Around 5:30 we went to a second church, Iglesia bautista independiente, and half of our team was able to teach the children of the church the story of Jacob by acting out the story and making a “coat of many colors” out of paper and pipe cleaners. After the service, church members gathered upstairs to serve us dinner. Our day began with an early start as we prepared to aid the MITC students in their daily chores. After finishing these chores, we were assigned projects around the campus. 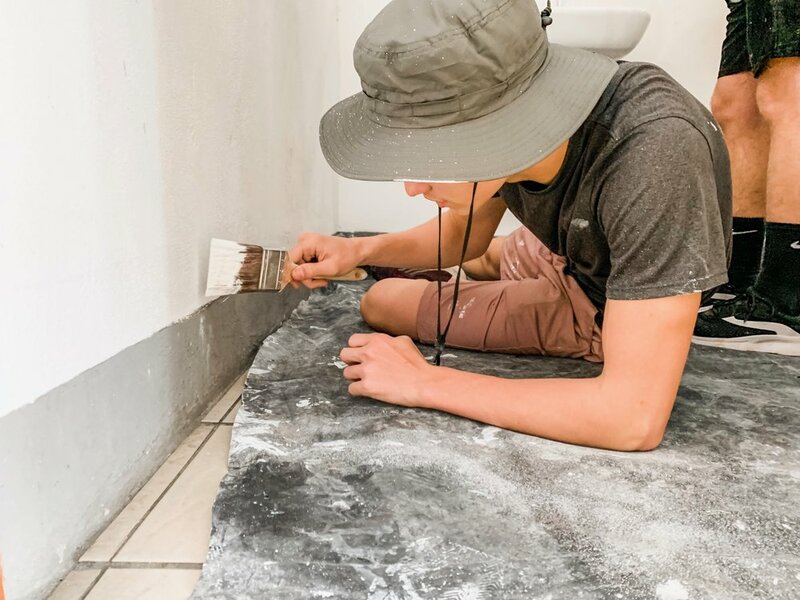 These projects included things such as painting, sanding doors, pouring concrete, and rearranging the campus gift shop. Halfway through our projects we attended the on-site chapel service led by MITC Field Director Dan Hall with Pastor Aaron as the speaker. An MITC tradition is to have a “coffee break” once a day. The campus staff wives prepare an assortment of home-baked desserts and appetizers to serve during the coffee break. After this we continued our campus projects into the late afternoon. Lunch followed once the afternoon projects were complete. 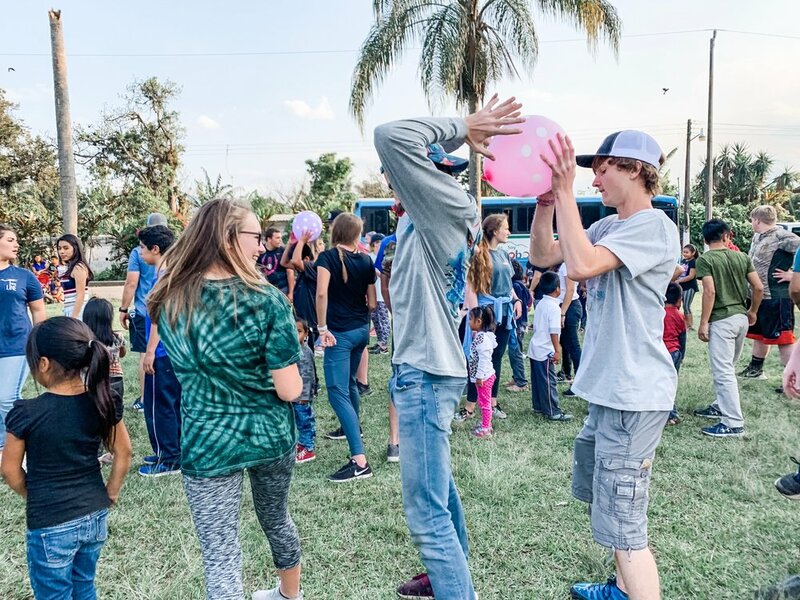 Our next mission for the day was to head out to Peregrinos De la Palabra, a local orphanage in Cordoba to fellowship with the children there. 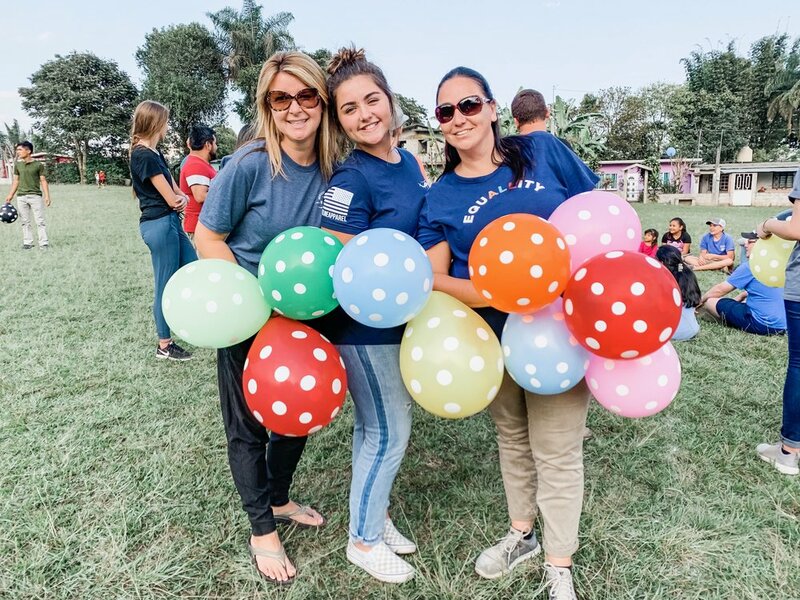 While we were there we sang and danced to Bible School Songs with the children, and a group of our students led songs with puppets for the children as well. The team also acted out the story of Joseph in order to teach the children that God is always present during the midst of our struggles. We were able to fellowship with the children through crafts relating to the story of Joseph as well as play different sports with them. One experience that was life changing for the team happened towards the end of our day when we were introduced to a 14 year old boy named Alexis. Alexis has a neurological disease that has prohibited him from walking since this past December, causing him to now be now bedridden. The team was given the privilege to gather around Alexis and pray over him, giving him high fives, kisses goodbye, and prayerful wishes. Please join us in prayer over Alexis as he continues to persevere through his condition. 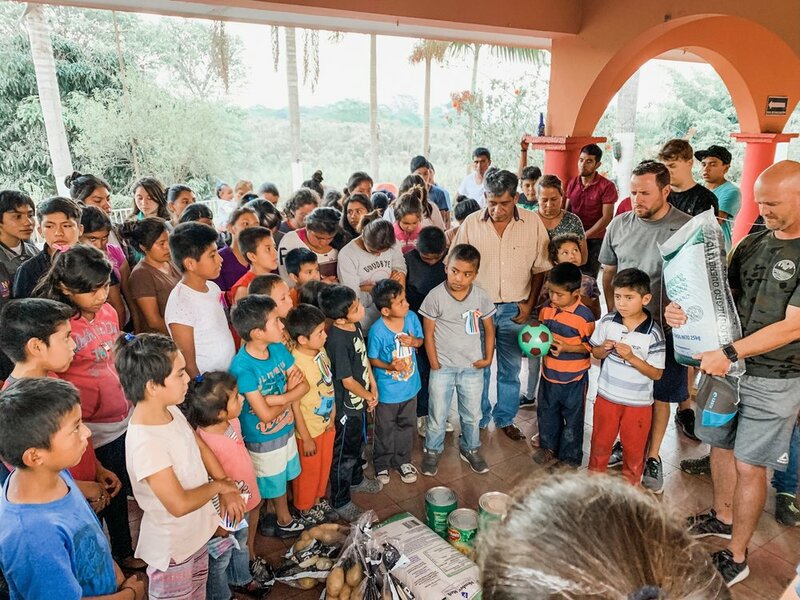 At the end of our visit at the orphanage, we gave them bags of food we bought with the money the Church at the Mall Students have been raising to prepare for our trip to Mexico. 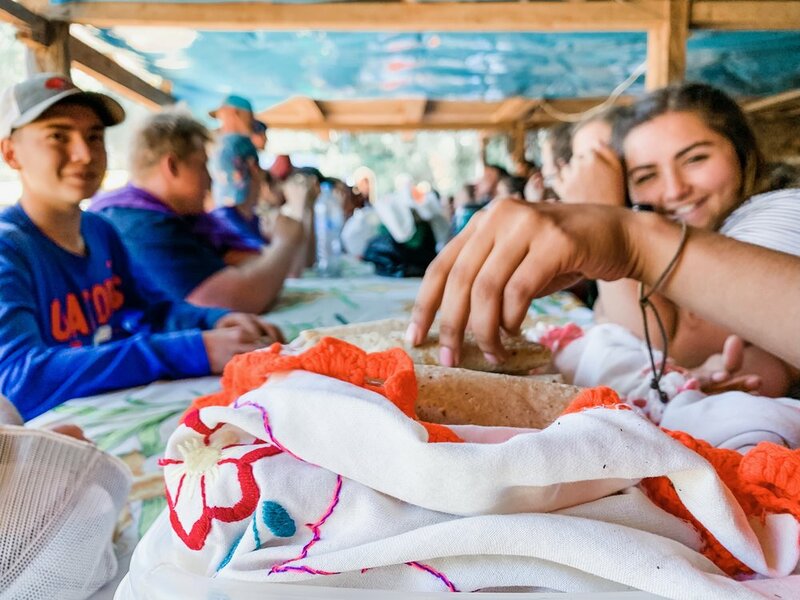 We asked the students to give money over the course of a couple months in order that we may bless the orphanage and take care of their dietary needs for the months to come. Pastor Aaron led a prayer over the food and the children before we left to head back to the MITC. It was a great third day in Mexico! 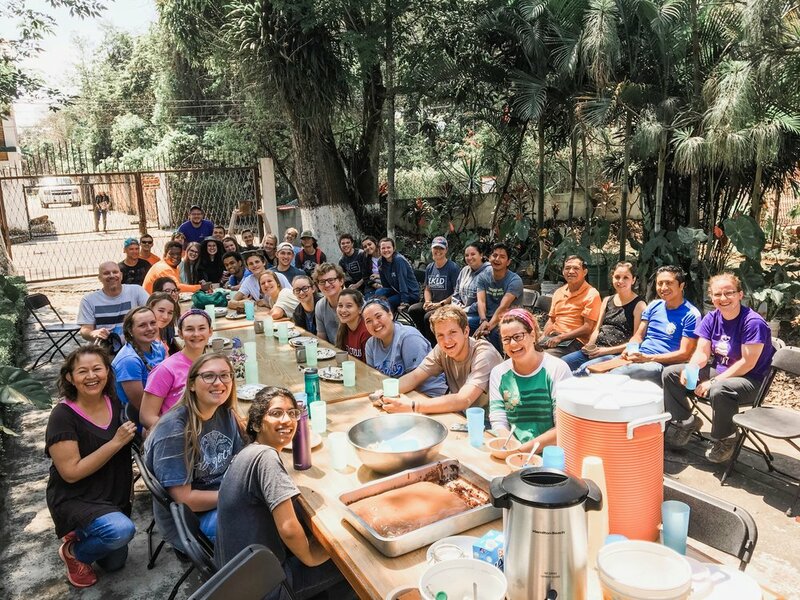 Please pray for the team as we continue to serve the Lord by serving those in the surrounding community of MITC, as well as the MITC staff and students. The staff and students here have been such a blessing to us. Please lift up prayers of praise in their honor for all the love and care they have shown us so far! Today looked a little bit different for our team. 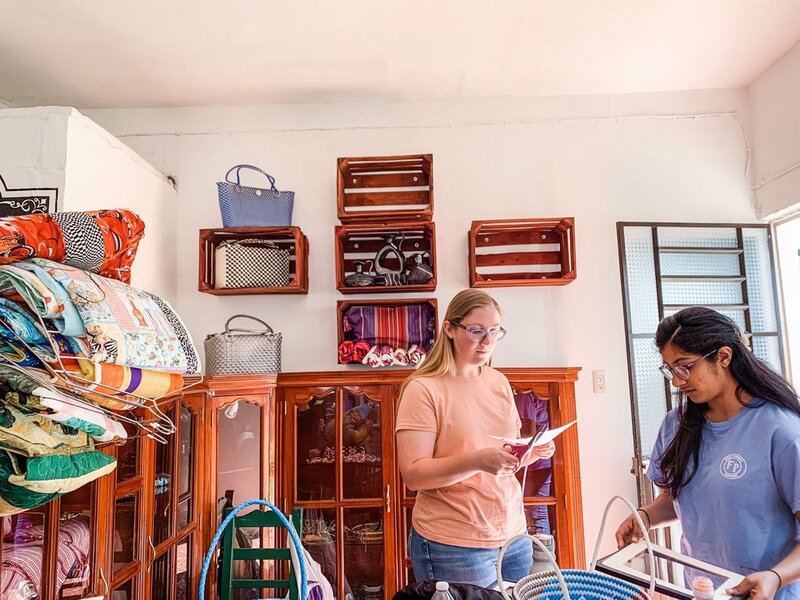 Our day began with a two hour trek to the town of Tecalatzompa in the region of Acultzinapa along with some of the MITC students. Along the way up the mountain, we were able to take pictures of the beautiful landscape as a group, and we also picked up a fourth year MITC student that works with the people on the mountain frequently. 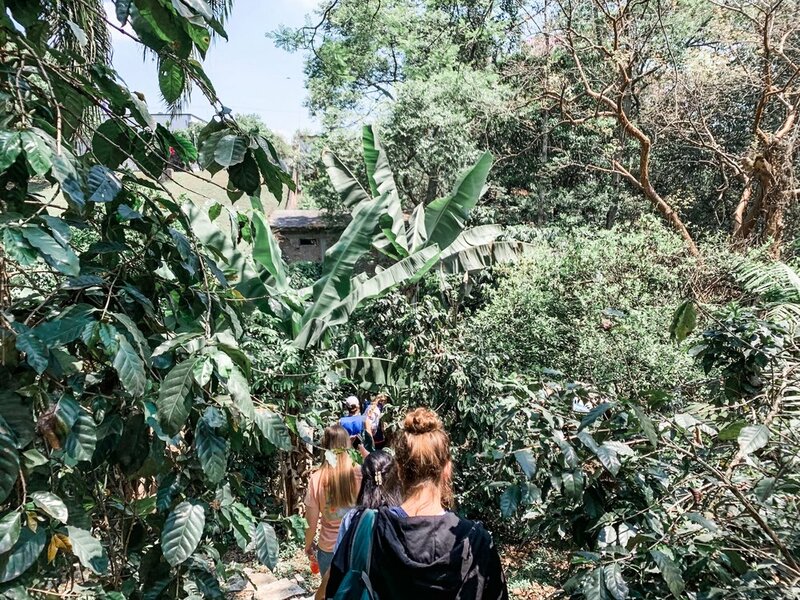 Once we arrived, we were able to walk around the lower part of the mountain before being assigned our projects for the day. Once we walked up to an upper part of the mountain, we were assigned projects. 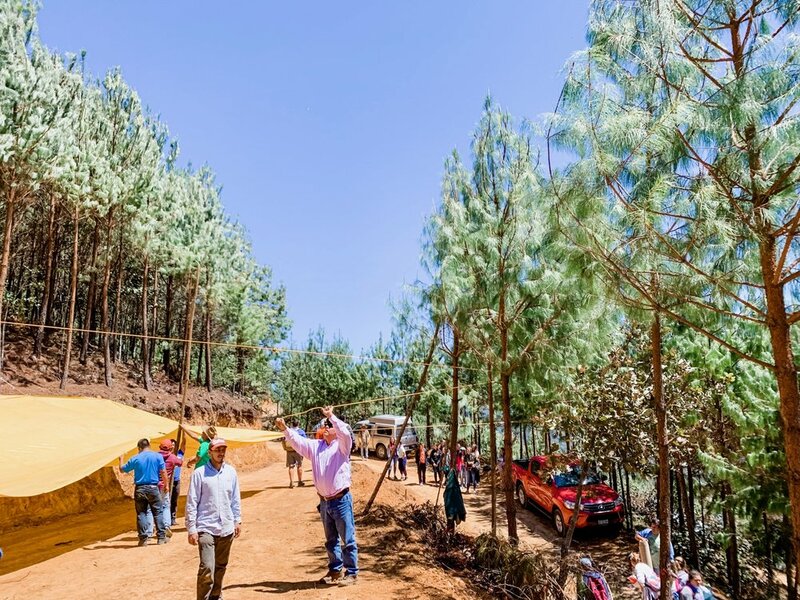 These projects included pick-axing the mountain in order to make it a 90 degree angle to support the church building, and painting sets for the children’s Vacation Bible School. After a couple hours of doing this, some of the women on the mountain made us food to eat for lunch. Lunch was a delicious treat, and after this we began to prepare for the 4:00 church service on the mountain by moving benches near our charter bus and suspended a tarp from the bus over the benches for shade. While we were getting ready for the church service an ice cream truck passed us. 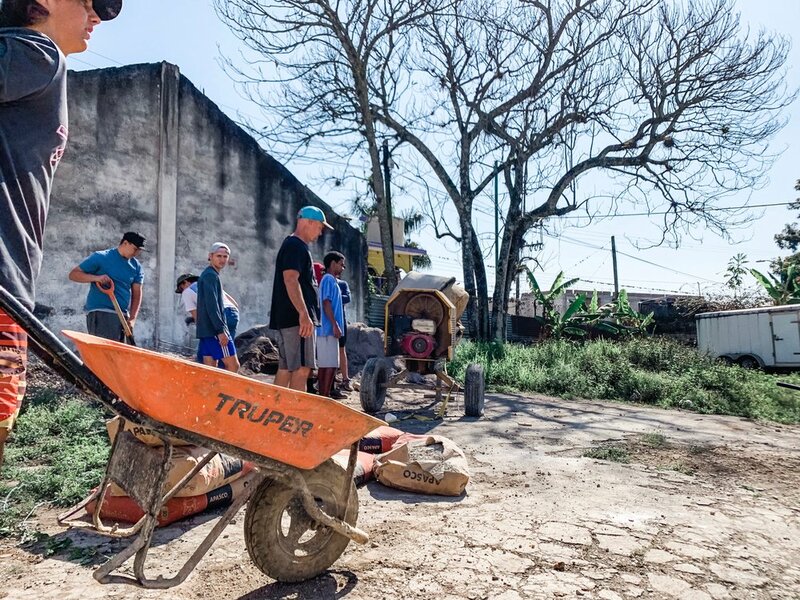 Hearing the familiar song of an ice cream truck, Luis ran over and told the man to stop because we wanted to buy ice cream for the people helping us as well as the people who lived near the site we were working at. 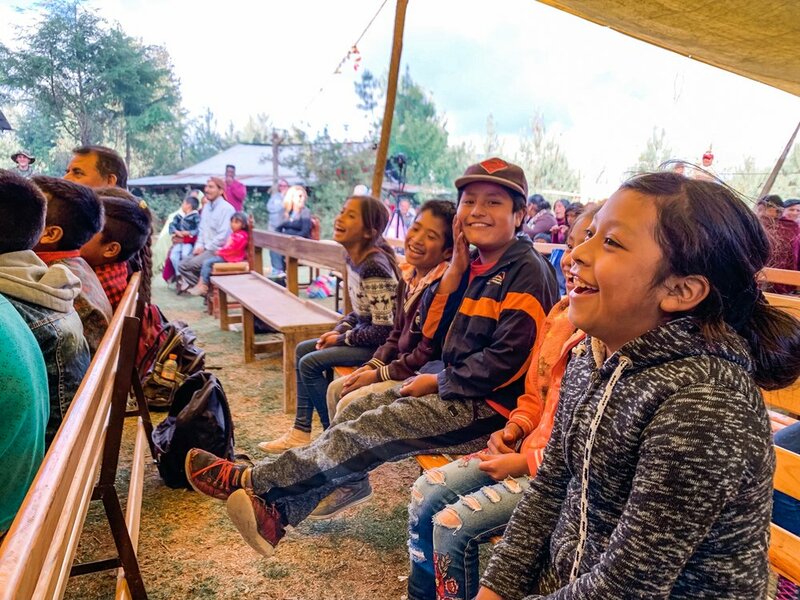 This experience was impromptu, but the joy on the faces of the children and adults that lived on the mountain was priceless. The church service began shortly after this. We sang songs of worship, led some children’s songs, and the students performed another puppet show for the kids. We taught the story of Joseph to the children, and our Auburndale Student Pastor Curtis Weaver was able to teach a sermon following it. Once Curtis had preached, we helped the children make a “coat of many colors” using pipe cleaners and crayons. We came back to the MITC feeling exhausted, but very refreshed by the things we had experienced that day. 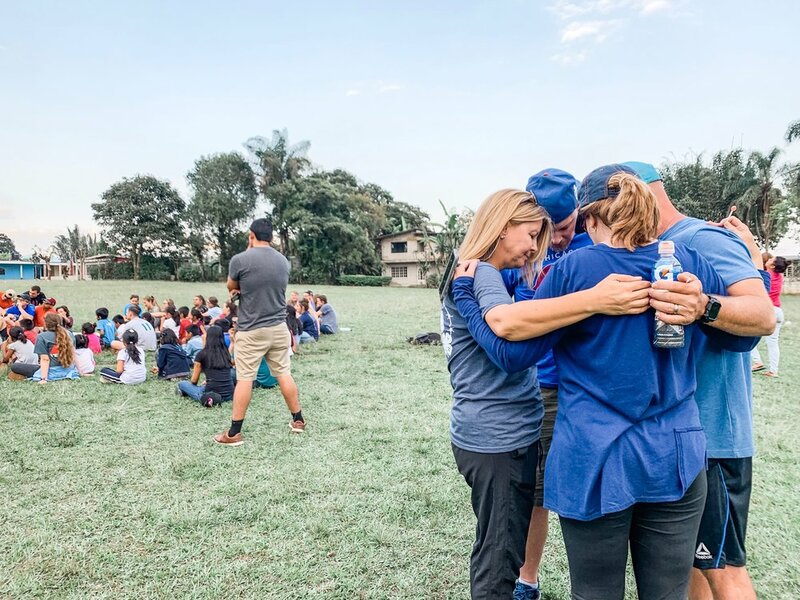 Please continue to pray for physical and emotional strength for our team as we continue to serve God and others this week! Today we were blessed with the opportunity to work on the MITC campus continuing our projects from Monday. 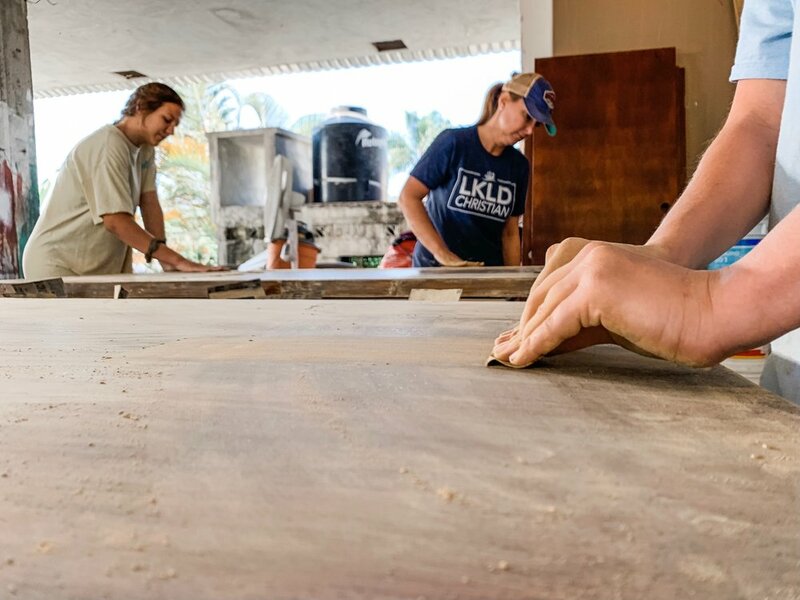 We were able to complete painting a new house, painting new bathrooms, pouring concrete, sand and stain doors, build shelves, and finished setting up the new MITC Gift Shop. After lunch, we got ready for the Wednesday Night Church at Neria Baptist Church. Some of our students that are apart of the worship team at home for Church at the Mall Students were able to lead worship for the congregation. Hearing everyone sing the same song in two different languages was such a beautiful picture of what heaven will look like one day. Though our languages were different, our hearts and motives were in unison. We were all gathered in that building to glorify God as one church body. Once we arrived back at MITC, the boy students were asked to take part in the Bible Study led by the MITC students. During this time, Luis Ruiz was able to share a word with his students and the MITC students. 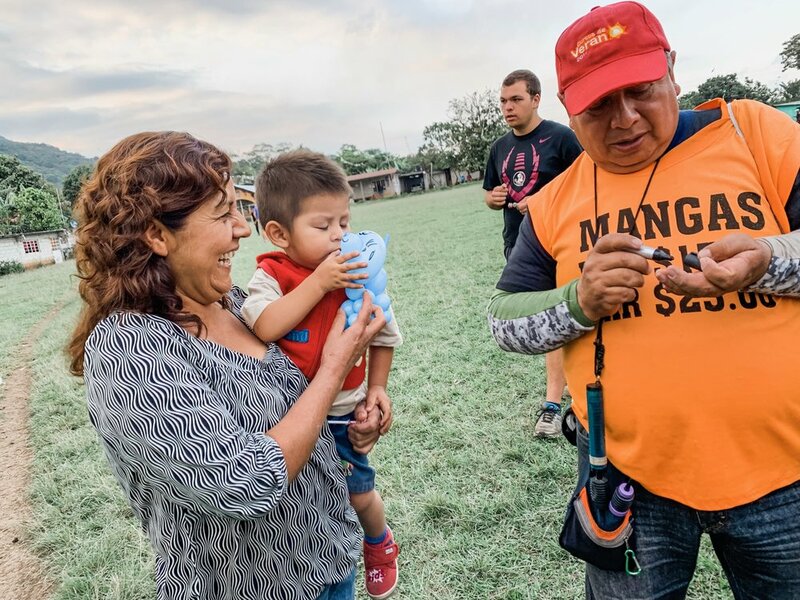 During this Bible Study, the CATM boys were able to connect with the MITC boys in a new way. There was bonding over games and discussion, giving our boys a new perspective on friendships and fellowship. Thank you for your prayers for our team. We thank God for a church family that is so fervent in prayer over our efforts to serve Him. Today we started our day by helping the MITC Students complete their daily chores. 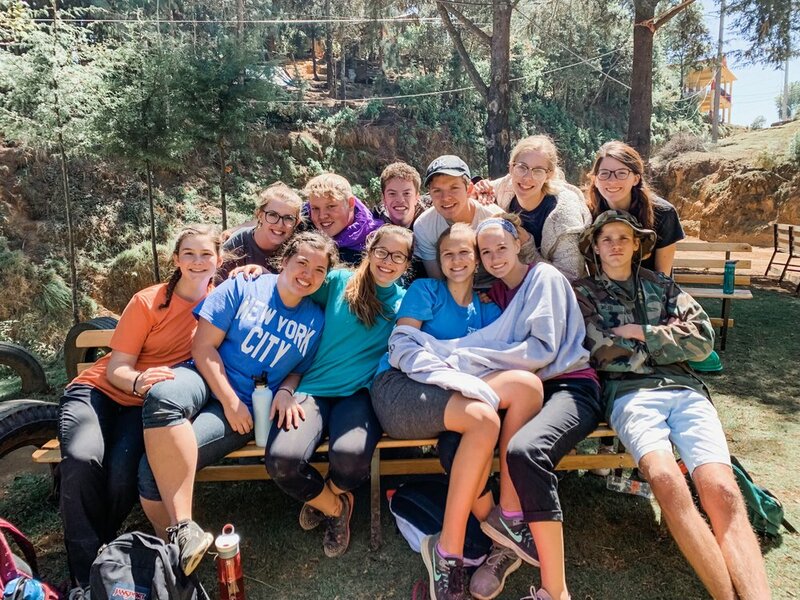 The team has been able to bond with the MITC Students by serving alongside them as they complete their daily tasks. After this we were allowed a time of serving around campus. 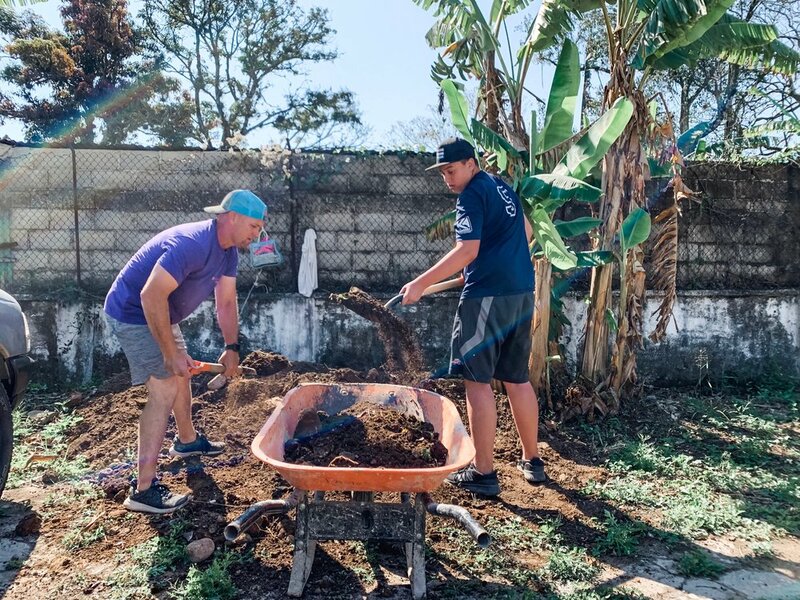 Our construction crew was able to finish a project behind our sleeping quarters that they started on Monday, and the rest of the team was assigned new, small projects to be started before chapel. The students were able to the lead two songs of worship in chapel, and Pastor Luis Ruiz shared a message on forgiveness and retribution from being imperfect through King David’s story. After chapel our jobs were completed, and we began to prep for our time at the church we visited on Sunday. While there, we played games with ten children, shared the story of Joseph, and led worship songs. We brought candy to share with the kids and they were so joyful at the sight of the lollipops we brought around for them. Tomorrow is our last day here at MITC. Please be in prayer for our team as we pray for an immense amount of energy to carry out our last day of service here at MITC.